We are always looking for new volunteers of any age. Our JUNIOR FIREFIGHTER program starts at age 16. Our FIREFIGHTER program starts at age 18. And if you are just a person that wants to help out on our business side with fund raising and support, you can join as a SUPPORTING or SENIOR MEMBER from age 18 and up. 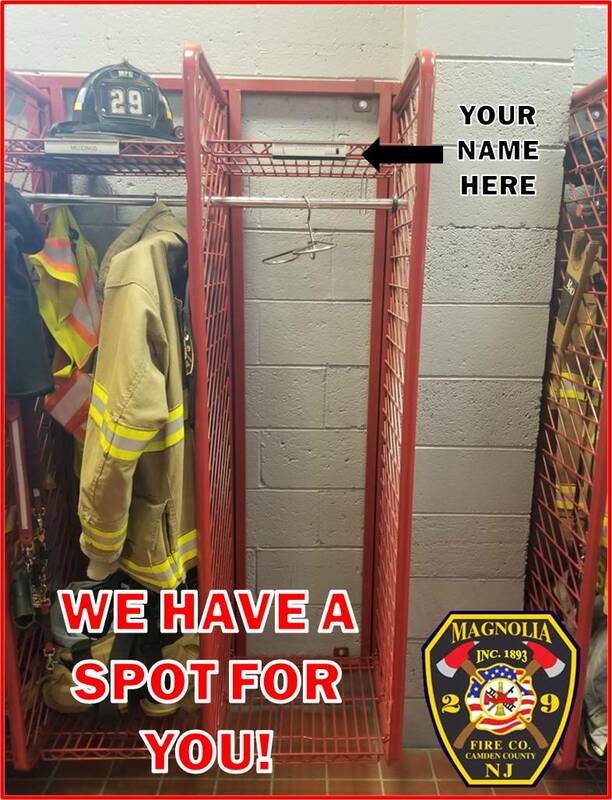 For information on how to join the Magnolia Fire Company, please fill out the contact information below, include your name, address, and a phone number where we can reach you.